As someone who’s both a fan of marine exploration and co-operative gameplay, I have been having a blast playing Deli Interactive’s first commercial title, We Need to go Deeper. Imagine Lovers in a Dangerous Spacetime, only set in the crushing, inner space of our dark oceans. Billed as “a multi-player submarine rogue-like set in a Verne-inspired underwater universe,” We Need to go Deeper places you and up to 3 other players in command of a submarine and charges you to work together to plumb the depths in search of riches and glory. It’s not a simple matter of pointing and clicking however, as the various roles in the submarine – taking the helm, firing torpedoes, balancing power, patching leaks, and repelling tentacles – can’t be done all at once by a single player. That’s where your fellow crew members come in, each taking up a station in a frantic attempt at teamwork. As Deli Interactive explains, “We Need to go Deeper was created under the mindset of having friends scream at each other.” As your crew makes its way to the bottom, they will come across various caves scattered along the seafloor. Once a cave has been found, the action moves outside the submarine as the players don diving suits and explore the caves in search of gold and other rewards. All the while, both in the submarine and on foot, dangerous creatures of all sizes and shapes swarm and attack. Though it has only recently entered Early Access on Steam, We Need to go Deeper already offers a wonderful submarine odyssey that you can share with your friends. A lobby system even allows for you to join with strangers, and the developer has set up a Discord server specifically for sole players looking for a crew. If the promise of riches, teamwork, and/or painful death in the deep sea appeals to you, you can grab a copy on Steam or at the game’s official website! Dwarf Fortress 0.42.01: Taverns, Temples, and Troupes. Oh My! Winter is here, and with it the next release of Tarn Adams’ Dwarf Fortress has arrived. 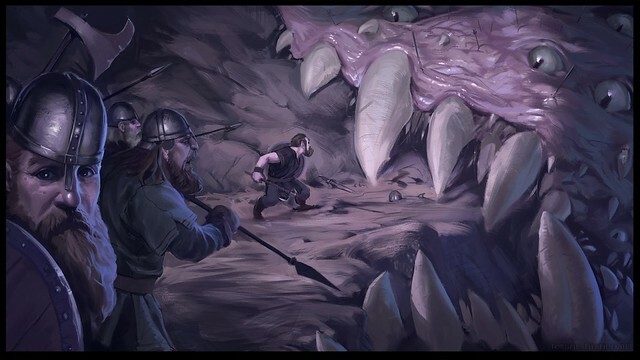 Dwarf Fortress 0.42.01 continues to build upon the “living world” features added in last year’s major release, allowing players even more interaction with the larger world outside their fort (or lone adventurer). Troupes, mercenaries, refugees, scholars, and more will now visit your fort. Social interaction will also play a larger role so inns, taverns, and temples have been introduced as social areas. Libraries have also been added for more bookish individuals, collecting the various written works and technological advancements of the world. To aid in the new mingling scene, the inhabitants of your world will now compose poetry, music, and dance forms. While these are currently only described in text, the Dwarf Fortress community has already begun to provide some fantastic real-world interpretations from those descriptions (Listen:The Superior Rampart; Listen:The Grasping Oaks). Of course, these features are also available in the game’s Adventure Mode. Rather than running a fort, players can instead lead a performing troupe on a world tour! For a more complete changelog, and to download the latest version of Dwarf Fortress, head on over to Bay 12 Games. The Dwarf Fortress update 0.40.01 has come! An intimidating game. It has colorful graphics of text and it blinks rhythmically. Its interface is obtuse and inconsistent. Beware its emergent storytelling! After more than two years since the last update, a new version of Dwarf Fortress has been released by developer Tarn Adams. As always, the game is entirely free, despite it being Tarn’s full-time occupation – he is supported by the generous donations of players. One of the largest and most notable features of this new update is that the in-game world will no longer be static after its initial generation, but will continue to change and evolve on its own in the background. This will include events ranging from civilization-scale events like foundings and conquests, to more individual actions such as births and deaths of historical figures. Additionally, forts that the player has “retired” will continue to operate within the world, rather than simply becoming abandoned, allowing for the player to visit them in Adventurer Mode and interact with the citizens. Other notable changes with this update will include multi-tile trees, new site designs for several races, and overhauls of various systems including combat, conversation, movement, and AI. A more extensive changelog can be found here. 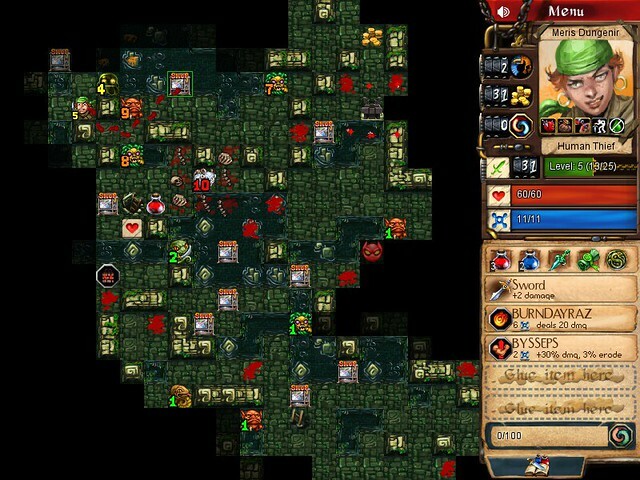 Following a successful Indiegogo campaign that raised nearly double its $48,000 goal, Thomas Biskup has been working steadily to bring his legendary roguelike ADOM to a generation of players that might be more familiar with “roguelikelikes” and “roguelites” than the genre that inspired them all. First released in 1994, ADOM (full title: Ancient Domains of Mystery) is widely considered to be one of the “Big 4” defining roguelikes, along with Nethack, Dungeon Crawl, and Angband. An incredibly expansive and challenging game, it’s remained relatively obscure to mainstream game players, due in no small part to its ASCII graphics, closed source, and lack of updates past 2002. With this renewed development, Thomas seeks to remedy that (although as far as anyone knows, the source will remain closed). A lot is planned for ADOM and a lot has already been done: a lovely graphical tileset, sound, a mouse-driven UI, and new monsters, items, quests, classes, and more. You can experience all of these in the current public version (1.2.0p23), which also includes a new tutorial mode. It’s also on Steam Greenlight, where you can vote for it and help get it released on Steam as a paid, “deluxe” edition alongside the freeware game. The price of ADOM on Steam has not yet been settled on. 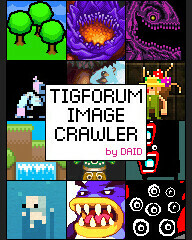 It’s great to see the creator of one of THE classic roguelikes throw his hat back in the ring. There are many good reasons why these games have had such a strong and long-lasting influence and hopefully people who missed out on them the first time around will take this opportunity to try one out. Red Hook Studios’s gorgeously gothic RPG Darkest Dungeon went live on Kickstarter just nine hours ago, and is already looking ready to slay its goal of $75,000. Boasting the traditional roguelike staples of procedurally-generated levels, permadeath, and turn-based combat, Darkest Dungeon also promises an “uncompromising, unforgiving, and unconventional” approach to the classic dungeon crawler. Drawing influence from the creeping terror of H.P. Lovecraft’s literary works, Red Hook Studios hopes to implement an “Affliction System,” forcing the player to contend with “paranoia, abusiveness, fear, irrationality, and a host of gameplay-meaningful quirks” as they lead a team of heroes ever deeper into the dungeon. With the game set to meet its funding goal within the first day, and with a long list of stretch goals promising ever more content and polish, Darkest Dungeon is a project I will certainly be keeping my eye on. To learn more, jump on over to the game’s site, or head straight to the game’s Kickstarter page to get on board. Desktop Dungeons was finally released on Steam a month ago, after a long beta period. The roguelike-inspired puzzler was first introduced as a freeware game in 2010, when its popularity led South African studio QCF Design to turn it into a larger scope commercial title with numerous improvements, including a fully-realized town and, of course, more dungeons, monsters, character classes, and all that good stuff. The visuals and audio are completely new, as well. If you never played the original, don’t be thrown off by its name and inspirations: aside from the fantasy theme and randomized levels, Desktop Dungeons bears very little resemblance to a traditional roguelike. The tightly-packed, single-screen levels, static monsters (who only attack when attacked), and transparent rules make the game feel more like a puzzle game than a dungeon crawl. But that’s not a bad thing – the freeware version was so fun that I made my own tileset for it, and this one is better in all respects. Michael “brog” Brough’s 868-HACK is a hacking-themed roguelike on iOS that eschews exploration for focused, single-screen tactics. 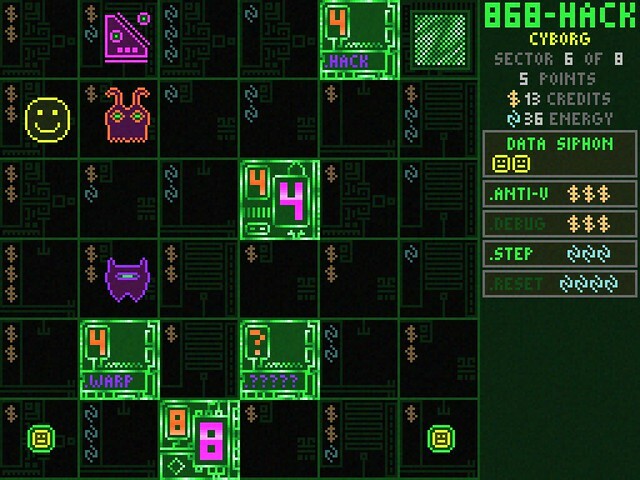 In the game, the player must traverse 8 levels, called “sectors”, filled with data – either points, which are used for scoring, or progs, which are used for defense against the enemies that are summoned to stop your intrusion. Enemies come in four types and move in simple patterns that are easy to exploit in small numbers but quickly become deadly in diverse mobs. There’s a lot to like about 868-HACK, like the fun theme, the obvious risk/reward mechanisms, and the innovative zapping attack that hurts and stuns enemies. Figuring out how to use zapper and prog to clear out large groups of enemies is extremely satisfying. In many ways, 868-HACK distills the roguelike experience down to the parts where you’ve been dropped into a room full of monsters you’re not fully prepared for and each move is potentially life-threatening. The free, Windows version that was made for 7DRL is called 86856527 and is still available for download, but the changes for iOS are well worth the $5 price tag, in my opinion. A port of 868-HACK to PC is also planned, but there’s no release date yet. TinyKeep is an indie 3D Action RPG title, drawing inspiration from both roguelikes and dungeon-crawler RPGs such as Ultima IV. The player is tasked with escaping the titular keep in which they have been imprisoned by exploring procedurally-generated dungeons and fighting various monsters as they progress. To increase the challenge and create a world that feels alive, the game’s sole programmer, Phi Dinh, has placed heavy focus on the project’s AI system. Dungeon inhabitants and monsters each have needs and desires, and will move about independent of player interaction in an attempt to fulfill those goals – feeding, sleeping, and interacting with each other in interesting ways. Along with the roguelike staple of procedurally-generated dungeons, Dinh hopes that these AI systems will lead to more emergent story opportunities and unique experiences for the player. TinyKeep is currently on Kickstarter, and hoping to achieve its funding goal of only £22,162. Although it is currently more than halfway there, there are only 4 days left to achieve its goal – but with luck, we will all get the opportunity to explore and escape TinyKeep!